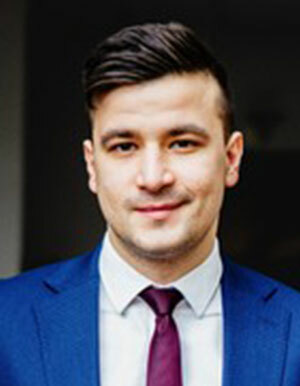 Povilas Stankevičius graduated finance and economic studies at the prestigious Lancaster University (UK), and completed his practical placement period at Finasta investment bank and the pension fund management company MP Pension Funds Baltic; Povilas Stankevičius was also one of the managers of the investment and finance community at the University of Lancaster for two years.At DNB, Povilas Stankevičius carries out analyses of cereals and oil markets, is engaged in the assessment of country risks, and draws up reports and analyses on financial markets. Povilas is very passionate about his profession even after working hours. He is one of the Grad Diary co-authors, and he has drawn up several dozens of articles on stock markets. One of his other passions is running. Povilas has been consistently improving his half-marathon record. As for his career at DNB, this young man is perfect at coping with both long distances requiring enhanced concentration, as well as unexpected challenges which his sprinter’s habits help him to overcome.